DIY home monitoring shouldn’t be an onerous task, which is why we’ve made the setup of our cameras as easy as possible so that anyone can install a camera in a matter of minutes. However, we understand the idea of setting up an outdoor camera and feeding cables through the wall may seem a little risky. 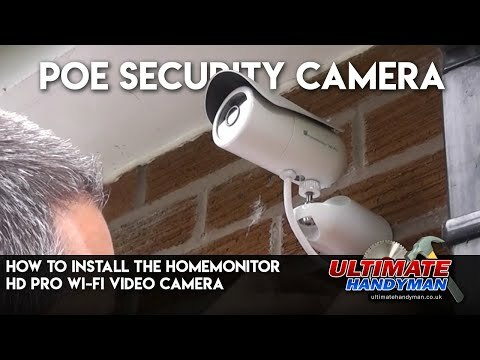 Outdoor installation should not feel daunting, which is why our friends at Ultimate Handyman have put together an easy to follow, step-by-step guide to get your HomeMonitor HD Pro camera up and running. Secured to the side of your home, the HD Pro has the added ability to be powered through Power of Ethernet (PoE). By using PoE, you can reduce the amount of cabling running through the wall, making a much tidier setup.